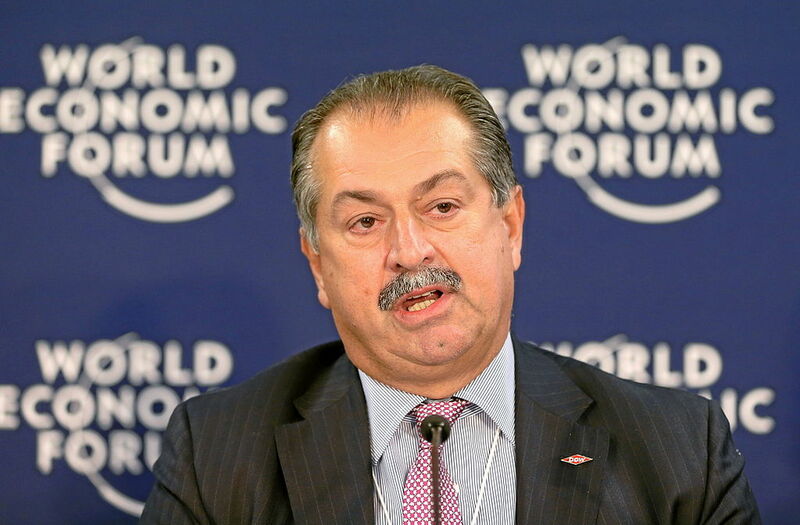 Andrew Liveris, the CEO of Dow Chemical, pictured here, met privately with EPA chief Scott Pruitt shortly before the latter decided not to ban chlorpyrifos. A report from the Associated Press makes that decision even more questionable: according to schedule documents the AP secured under the Freedom of Information Act, EPA chief Scott Pruitt took a private meeting with Andrew Liveris, the CEO of Dow Chemical, shortly before deciding to go against his own agency’s recommendation in refusing to ban chlorpyrifos. After taking control of the EPA, one of Scott Pruitt’s first major moves was to ignore the study done by the EPA – again, this is a chief of a governmental organization ignoring the findings of the very organization he runs – claiming that the study’s methodology was flawed. When asked if he could provide a single peer-reviewed study citing the safety of chlorpyrifos, Pruitt said simply said that the decision was based on “interagency dialogue,” and continues to cite the largely industry-backed forces decrying the EPA’s study. Today, the pesticide remains legal and widely used. The Associated Press reports that Pruitt met privately with Liveris only 20 days before releasing his official statement choosing not to ban chlorpyrifos. An EPA spokesperson told the AP that the men met briefly but did not discuss chlorpyrifos. The connection between Dow Chemical and the Trump administration is not secret, or even, to be honest, subtle; Liveris was present at a Trump signing of a deregulation bill in late February (as were representatives from Lockheed Martin, Johnson & Johnson, and Campbell’s). This new report adds to the mounting pile of evidence of just how intertwined the Trump organization is with corporations.